Home / HQ operations / FAQs / Harmony Marketplace Tutorial: Member PricingBecome A Member! Our number one question about our new web site is about MEMBER PRICING! Here’s how to make sure you are getting your discount. After you fill your virtual shopping cart with music, CDs, and cool t-shirts, head to checkout. Step one is to create your personal account, just like you would on Amazon or most other shopping sites. If you’ve already done this, pat yourself on the back for being ahead of the game and just log in with the password you created. BOOM… all the correct information is there. Sweet! Now select your preferred shipping method. So easy! Billing Options Menu: You must enter your member ID number and click “Validate” EVERY TIME you place an order. This little step ensures that you are a current member and entitled to member pricing. Without clicking “Validate”, the price per item will return to the non-member rate. 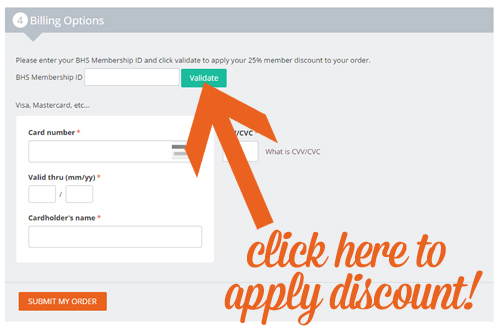 We want to give you 25% off for being a member, so make sure to complete this step! Bonus tip: Have questions about pricing or any order details? Call or email Customer Service BEFORE you click “Submit My Order”. Once you submit the order, your payment is processed immediately and your merchandise is shipped out… sometimes so fast that the order is out the door before we hear from you!